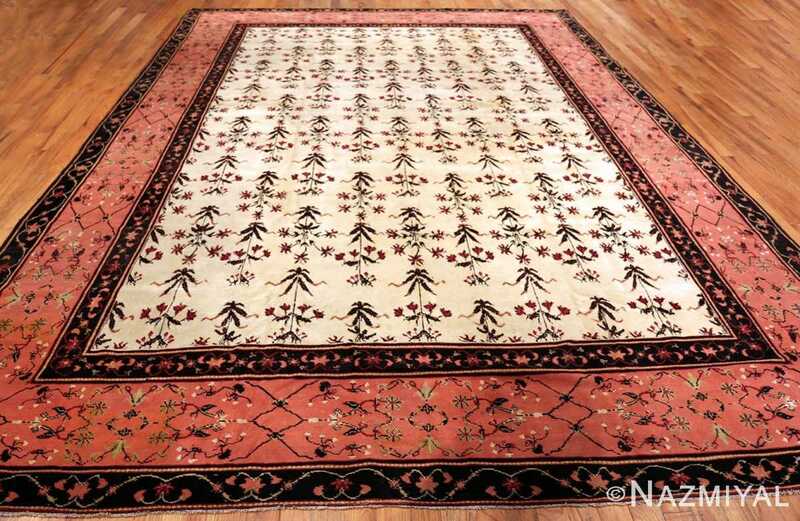 A Captivating Ivory Color Background Room Size Antique Indian Agra Carpet, Country Of Origin / Rug Type: Antique Indian Rugs, Circa Date: 1900 – A delightful meadow of flowers graces the field of this beautiful ivory room size antique Indian Agra rug. 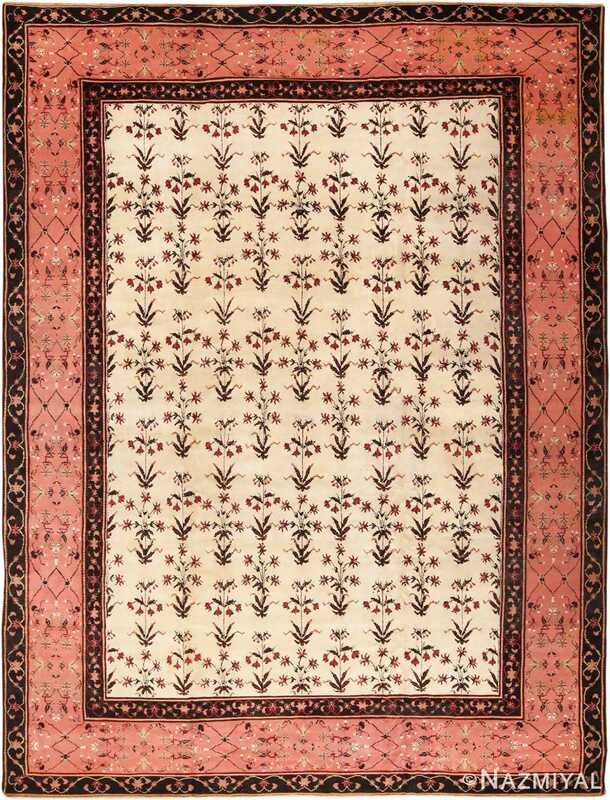 The ivory cream colored background creates a delicate but beautiful juxtaposition with the coral pink, green , red and charcoal. 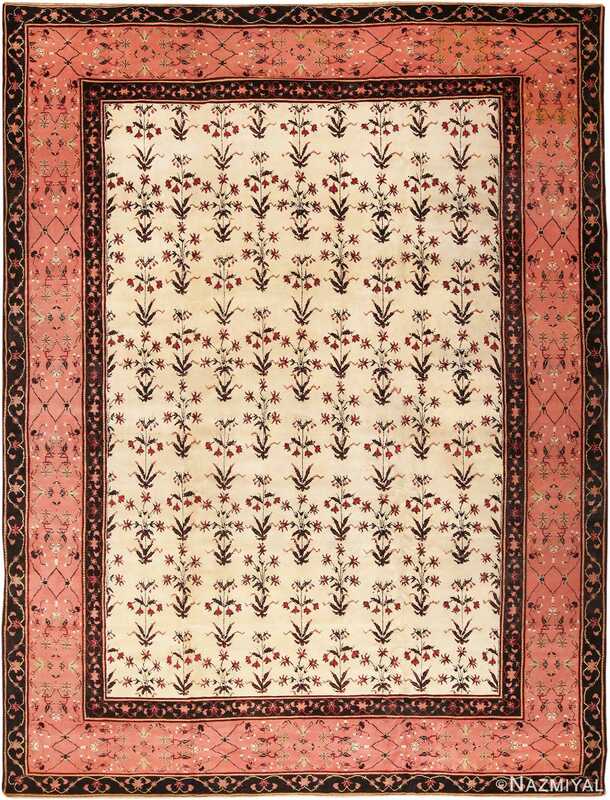 All these colors come together in this overall design to create the feeling of formal gardens that await just beyond the palace walls. 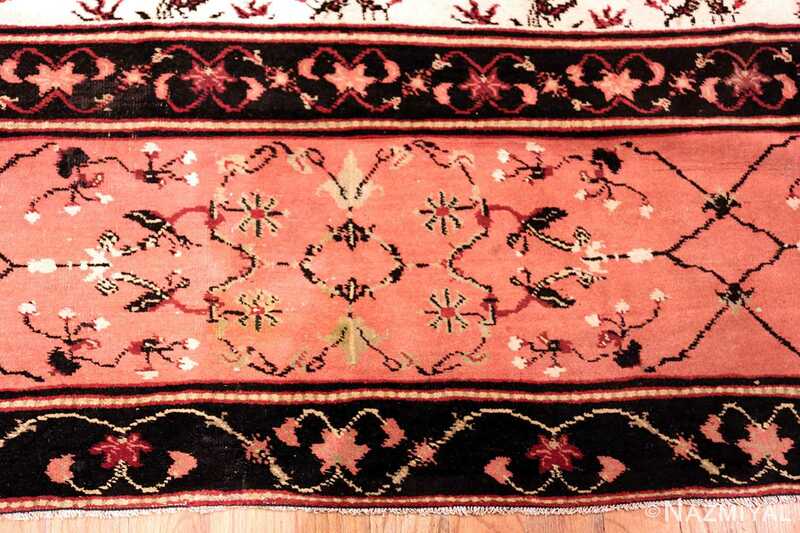 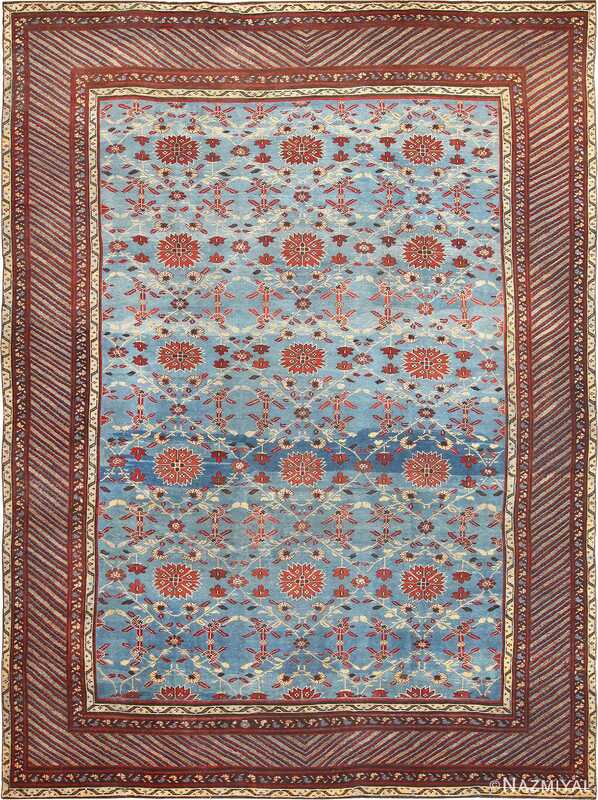 The artist of this antique Indian rug used contrasting colors in the field and the background of the borders. 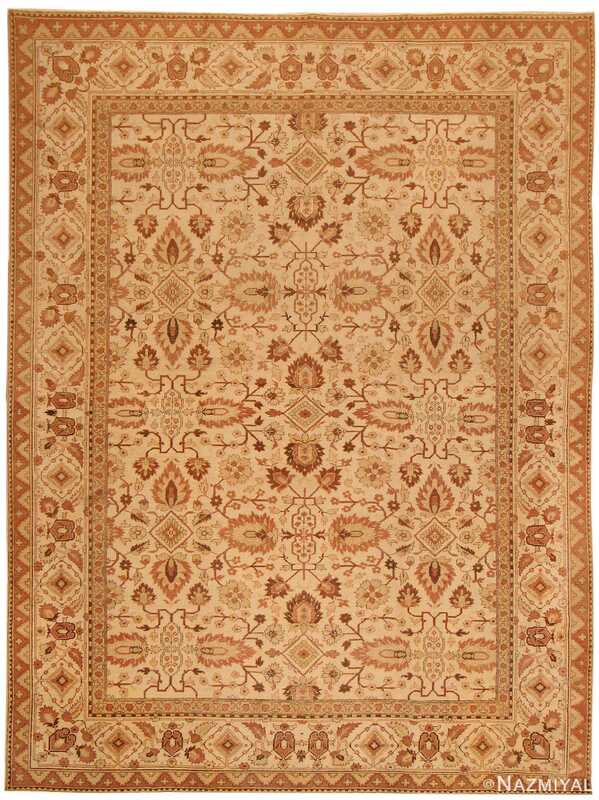 This was created to visually separate the various areas of the antique rug in a way that makes each one of them stand out on its own individually yet blends with the overall design of the room size rug beautifully. 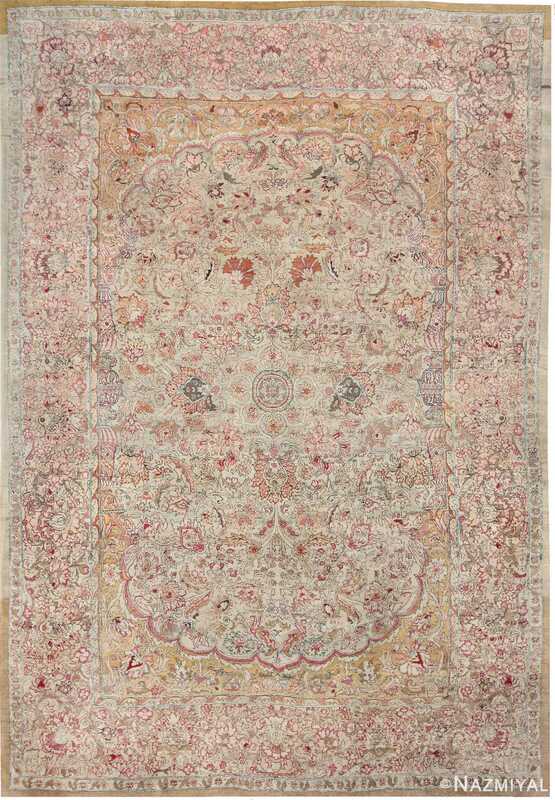 The artist behind the creation of this spectacular room size antique Indian Agra carpet, used repetition of the flower motifs to create a sense of scale that goes beyond the borders of the antique carpet itself. 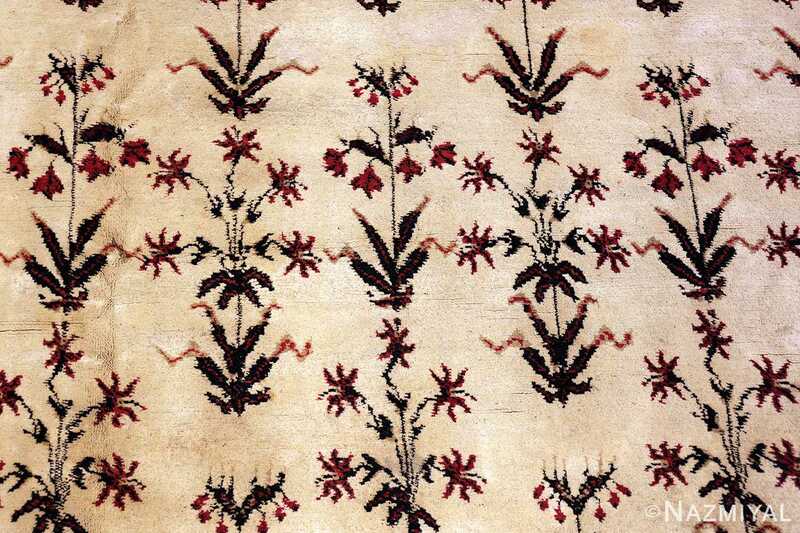 The field of flowers is executed in such a way that some of the flowers along the edges are cut off, making it appear as if the design extends beyond the borders. 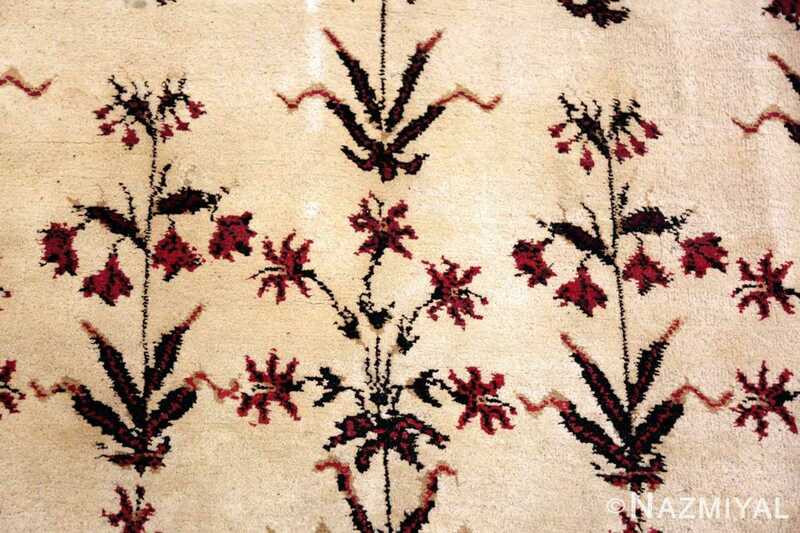 The design is directional with all of the flowers facing the same way. 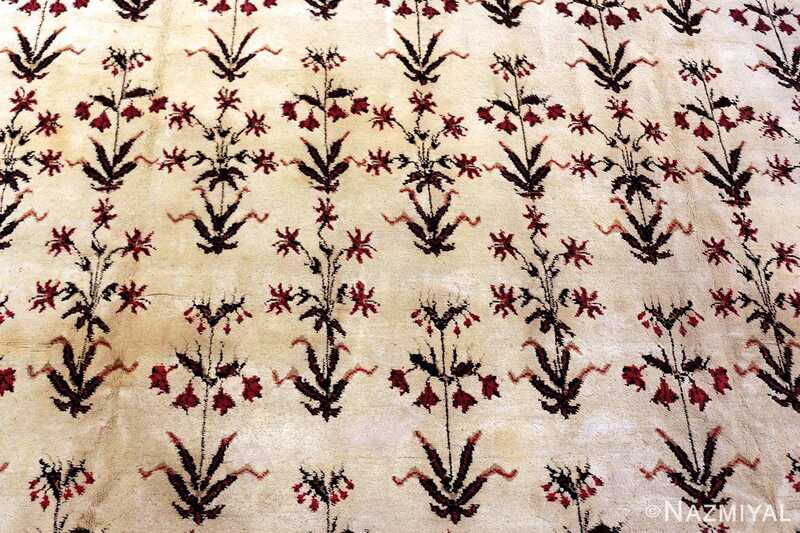 But this directionality of the rug pattern is then offset by flowers that are pointing downwards, as if bending the branch with its weight. 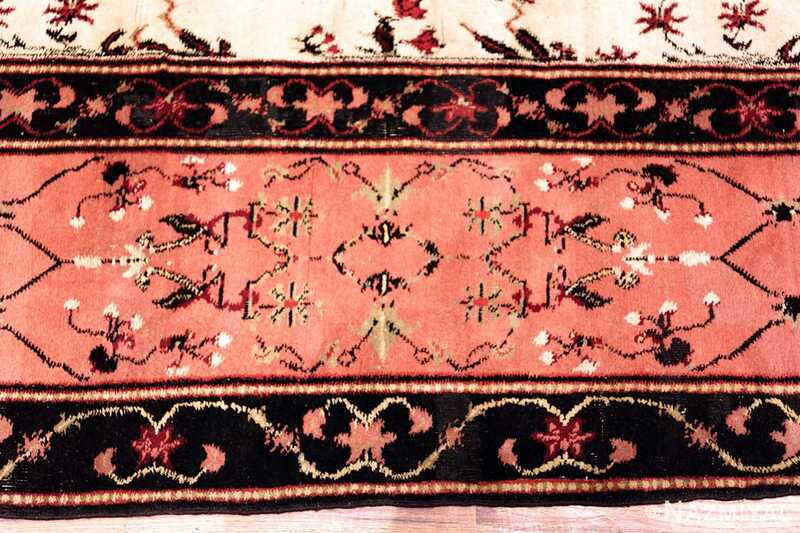 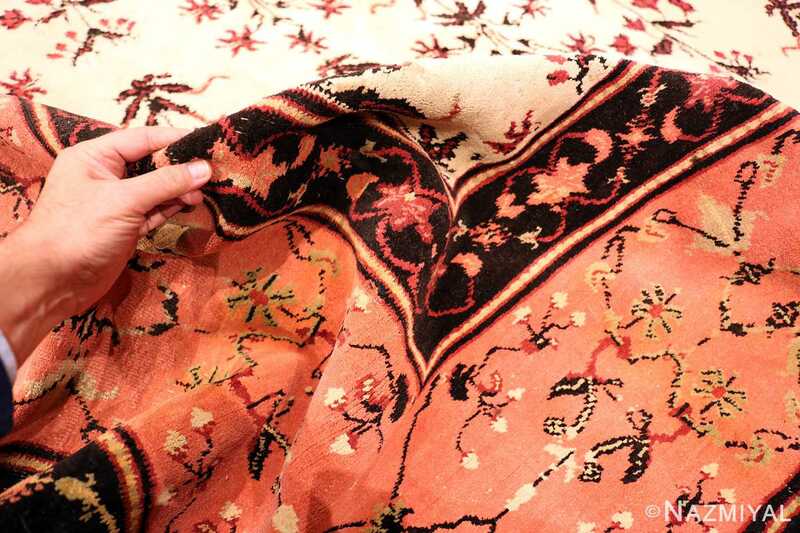 This allows the antique Agra carpet to be used and viewed from any direction without the feeling as though it must be seen from only one specific angle. 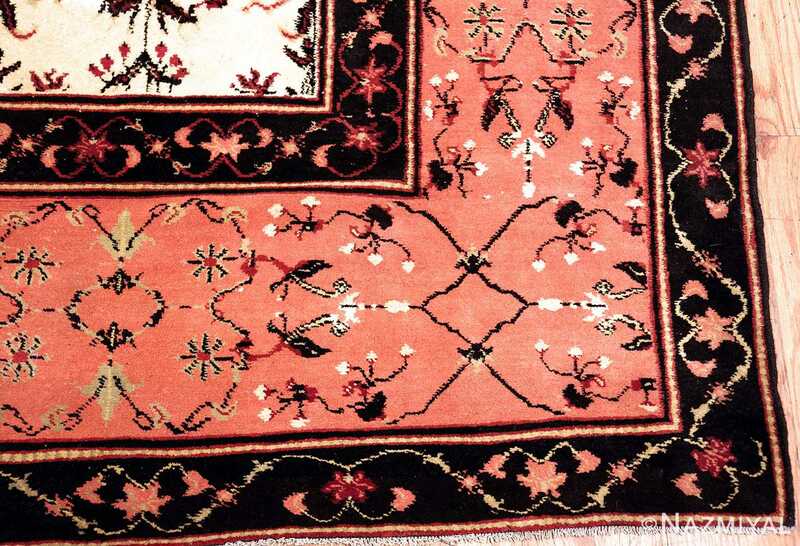 The motifs within the field are placed so that each one has its own space and is not crowded into the others surrounding it. The motifs are executed in a way that is uniform throughout the design of the rug, yet each one has a little bit of variation, reminding you of the handmade aspect and skilled artist who produced it. 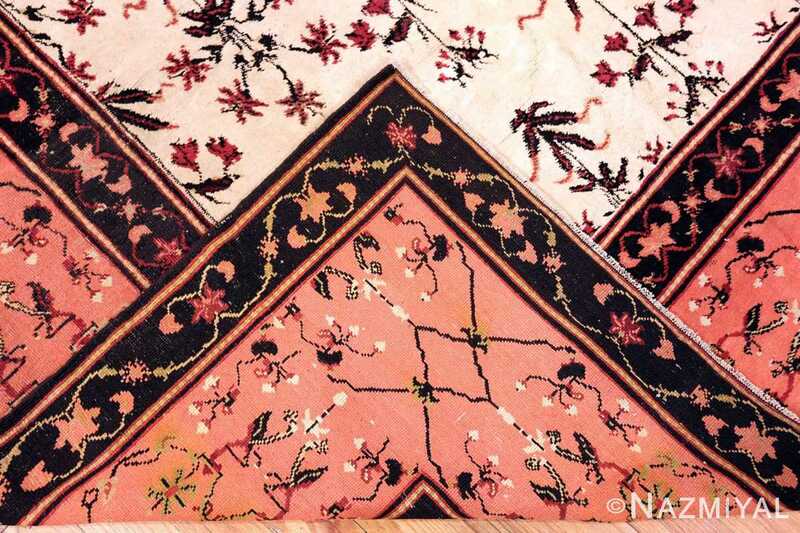 This is what gives the rug individual and unique character that will be sure to be a delight in any interior decor in your home or office. 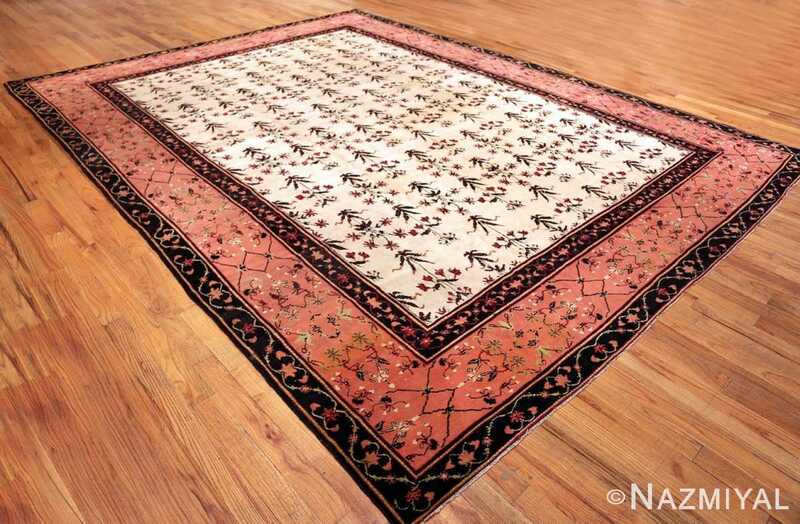 This unique decorative antique Oriental Agra carpet is hand-made from fine wool in India.